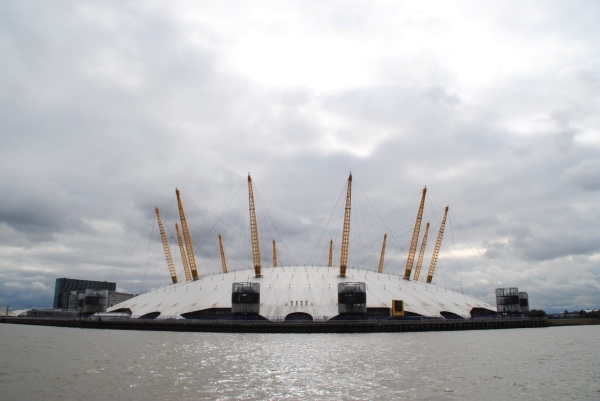 Another project to celebrate the new Millennium, the O2 – originally known as the Millennium Dome – is the largest domed structure in the world. 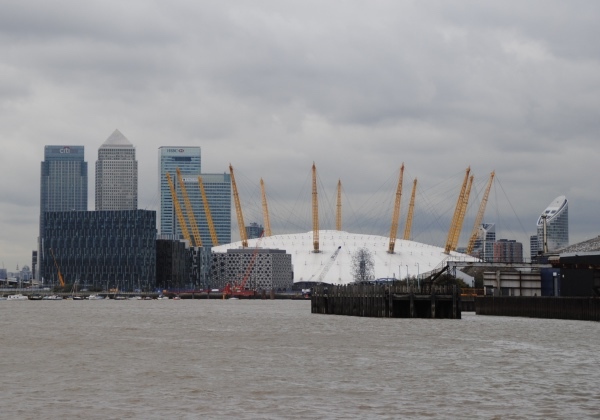 Occupying a prominent site at the northern tip of the Greenwich Peninsula (on the south bank of the River Thames), the building is 365 metres in diameter, 50 metres high at its highest point and features 12 100 metre high masts which hold up the Teflon-coated glass fibre dome using some 45 miles of steel cable. It was designed by Sir Richard Rogers and his firm with construction commencing in 1997 after the project, conceived by the Conservative Government, was endorsed (and expanded) by the new Blair Labour Government. The Dome was officially opened on 31st December, 1999, at a ‘New Millennium Spectacular’ attended by, among others, members of the Royal Family and government. Throughout the following year the venue hosted what was known as the ‘Millennium Experience’, a celebration of the beginning of the new millennium which attracted more than six million visitors (a big figure but apparently only half of what was projected initially). A controversial project since its very inception due to its cost and speculation about its use after the year 2000, the facility was largely devoid of life for several years after the year 2000 (apart from a few major events) but the site, which was eventually sold to consortium Meridian Delta Ltd which turned to then consortium member the Anschutz Entertainment Group (AEG) to oversee the transformation of the facility into a sports and entertainment complex. The building, rebranded O2 following a deal with the telco company of the same name, reopened in 2007 (the first band to play there in a public show was Bon Jovi and more than 600 bands had played there as of last year) and has since been used for a range of events including music concerts and sports, the latter including some of the indoor sports played at the 2012 Olympic Games including gymnastics and basketball. As well as a more than 20,000 seat sports arena, the O2 now features music venues, a cinema, bars, restaurants and shops as well as an exhibition space. There’s also a 90 minute climb over the top of the Dome for the adventurous. More than 60 million people visited the O2 since it opened in 2007.